The sequel to the popular western romance Love, Montana. In this installment, author Deb Martin-Webster reacquaints the reader with the characters who weaved the story of Rose and Joe, an epic love that could not be diminished even by death. She also introduces us to new characters who come into Rose’s world and turn it upside down. 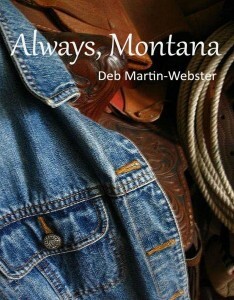 Twists and turns abound in this tale about the famous Montana Joe and his high-spirited family.